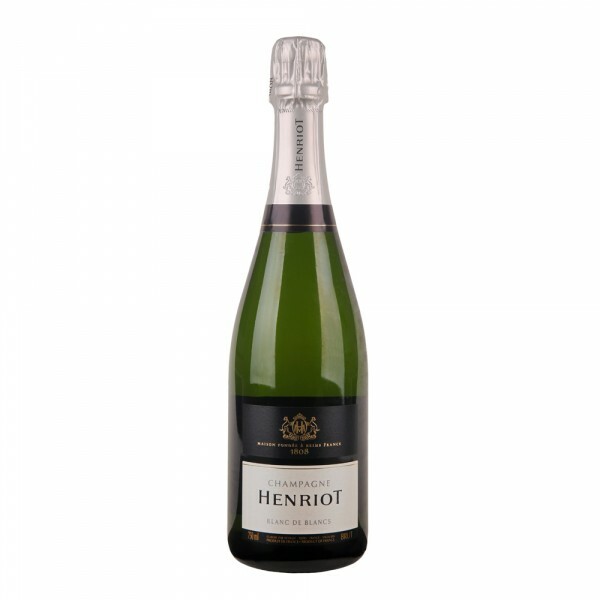 The Henriot family came to the Champagne region in 1640. They devoted themselves to the textile and wine trade and, by bit, acquired vineyards in their possession. In 1808, the brand Champagne Henriot, which is still owned by the family, was established. Champagne Henriot has even become the wine of the Habsburg court and not only has it ranked among the most demanding homes in Champagne. 100% of the Chardonnay grapes, the varieties that require the most care in the vineyard, whose purchase is the most money and which has the greatest potential for ripening on yeast slurries. The Cuvée Blanc de Blancs matures for about 5 years in crayères chandelier cellars before finding its customers. An example of precision, elegance and subtlety. The aroma and taste is mineral with a noble pearl and distinctive elements of citrus fruit and beeswax. Caviar breakfast (just "only" the pink salmon with a glass of this champagne is the ideal beginning of the day.) The seafood (crawfish, lobster, oyster, crab, ..) is the best companion.